A card for this week's Muse Challenge. This week our Muse is Laurie Willison with this sweet card. Working with her design this is the card I came up with. I had the pleasure of having lunch on Wednesday with Ardyth! We both live in Toronto, we both work together at CASology and after discussing getting together for over a year we finally did. If you are wondering she is absolutely as you imaged--delightful. Time flew by too quickly and we had no shortage of things to talk about. The waitress was sweet enough to take a picture for us. You are so lucky to have had lunch with Ardyth--and she was so lucky to have lunch with you. I am so jealous--I want to meet both of you. Some day.....Your card is just wonderful, and a perfect take on the Muse. I love your balloons, and those stitched rectangles are just perfect. how fun to meet card making friends!! love that! What a darling card. So fun and bright - I just love it. How fun that you could meet your blogging friend. So nice. Very sweet card! Love the balloons! and what a Muse she is! I Love your take on Laurie's card - the balloons are fun. 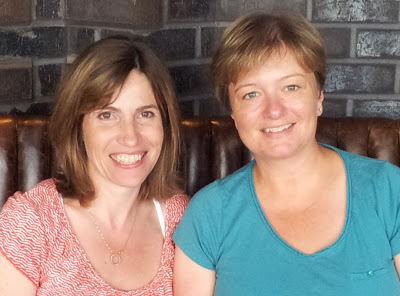 I loved meeting up with you yesterday - can't wait for next time!! And I love your card - the details on the balloons and the bold colours and how everything works so well together to make this so fun! Thanks for playing along with this week's Muse! Tracey...fabulous card! I am in Joyce's camp and would love to meet both of you someday. So jealous!!!! Beautiful photo of both you too. How fun to get to meet for lunch. First Wonderful card - the mix of papers just makes this HAPPY!! And lunch? Sounds amazing - so jealous here - some day Tracey!! Looks like you are Ardyth had a great time together, and I always find it a special treat to get to meet up with crafty friends that we may only know on-line. 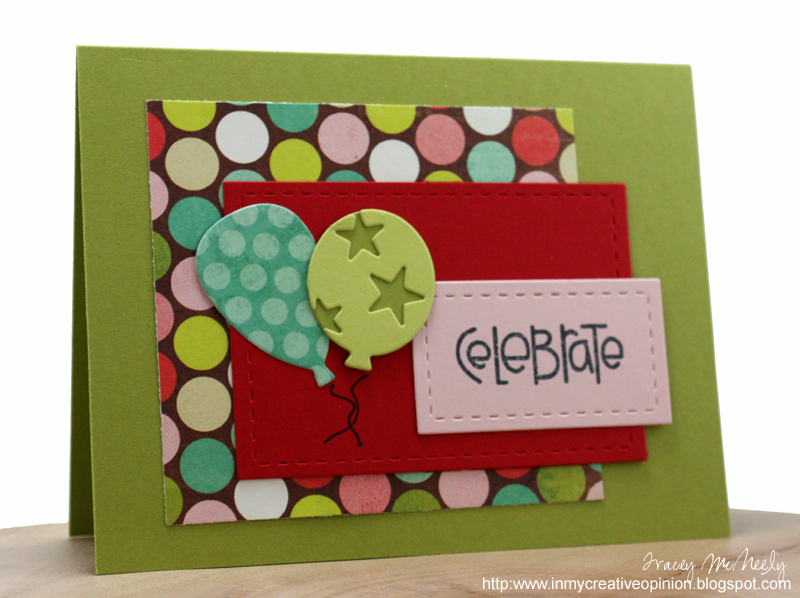 LOVE your bright, happy card! And what a fun lunch you all must have had! It would be wonderful to get to meet some stamping friends!!! Well, meeting up with our online friends is just about the best thing! You both look so sweet! Oh your card is so much fun! love all the colors! aww those balloons are so FUN.. love your card..
Oh you both look so beautiful and very young in this photo. Love your card too! Great pic of you and Ardyth. That's a lot of talent in one pic! Love how you tied in the polka-dots in the background with the ones in your balloon, Tracey! 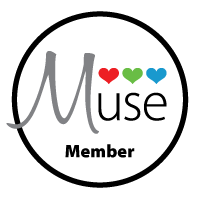 Great take on the MUSE card, Tracey, as always! I love that you and Ardyth got the opportunity to met each other IRL! Fantastic photo of the two of you!! what a nice time you must have had together!! so cool! Adorable card, Tracey! And also so wonderful that you got meet Ardyth! I'm glad you had fun...I am SO not surprised! Just love this card--the colors are so awesome!!! That's just so awesome that you both got to meet each other!!! 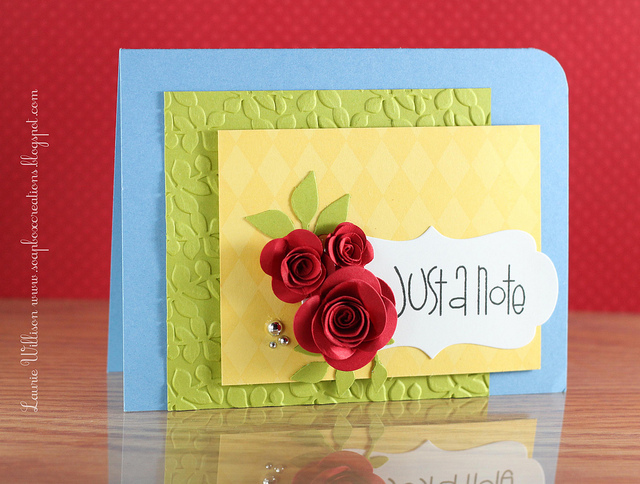 Love the bold colours of your card! The dotty paper is perfect for a celebration and I love the balloons! So cool that you and Ardyth had lucy. Next time Luis and I are in Toronto we'll have to get together! Oh, how fun to get together with a creative friend! Such a great pic of the two of you, and I just love your card to bits, especially that two-tone, starry balloon! LOVE! Great paper choices on this. I don't have a ton a cute stamps, so love seeing examples where the paper takes more center stage.